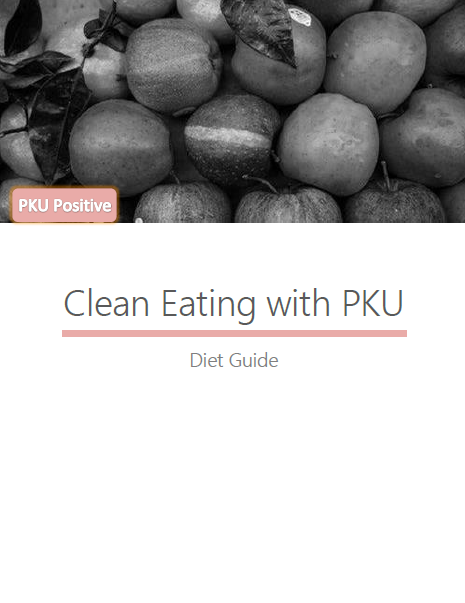 This Diet Guide provides a strategy for clean eating while maintaining the traditional, low protein diet of patients with PKU and other related disorders. The Diet Guide includes an integration plan, a meal plan that takes into account the necessary metabolic formulas, recipes for meals, lists of snacks, tips for maintaining the diet, sample daily meal plans and a printable shopping list. DISCLAIMER: I am not a dietician or medical professional. Please get the approval of your dietician or doctor before making any drastic changes to your diet or lifestyle.